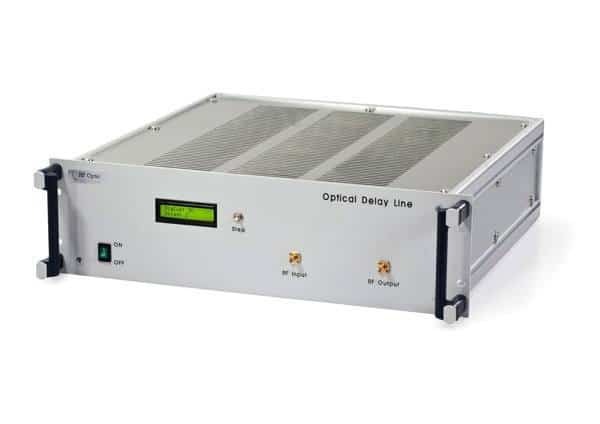 We offer Optical Delay Line (ODL) solutions from 100 MHz to 40 GHz with time delays that vary between 50 nanosec and 700 microsec (μsec) that can be controlled locally or via a PC. 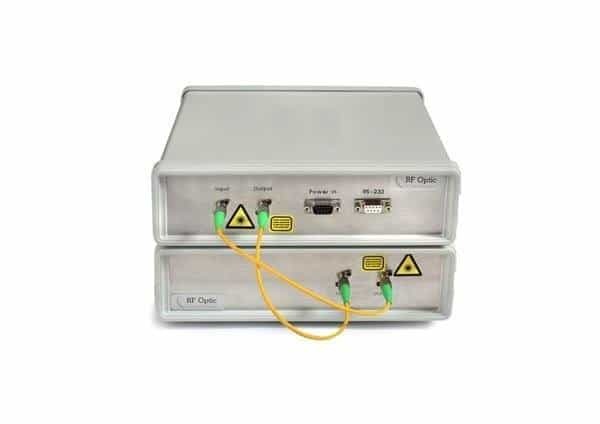 ODL solutions are used for phased radar testing and calibration, electronic warfare and numerous other applications. An ODL adds time delay(s) to the input RF analog signal at the 0.01-40 GHz frequency range. This is achieved by converting RF input signal into an optical modulated signal, which is transmitted through one or more single mode fiber spools creating a fixed time delay that can vary between 100 nanosec to 40 GHz. Afterwards the optical signal is converted back into an RF signal (which is identical to the original signal).